Mass DOT Exams and Physicals has been providing DOT Examinations and Drug testing for the past 5 years. 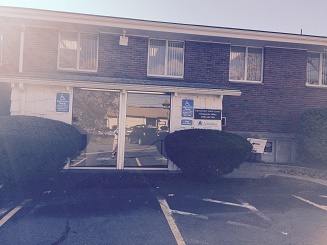 Located within the office of Metrowest Spine Clinic Chiropractic office, the clinic has been helping local residents with their aches and pains for over 17 years. Pass Your DOT Medical Exam! Dr. Austrager knows how important it is that you continue your livelihood as a commercial driver. 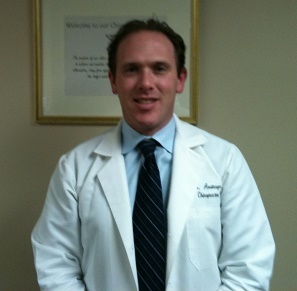 With his extensive knowledge of the DOT Physical Exam medical guidelines, Dr. Austrager will steer you through the DOT Physical Exam requirements so you can Keep on Truckin’. Looking for a DOT Physical Exam or CDL Physical Exam in Framingham, Massachusetts? You’ve come to the right place! From Points West (MA Pike and 495) – Take Route 9 East past Edgell Road Exit. Make the next right at light onto Main Street (Panache Coffee is on the corner). Before the next left we are at the corner of Main St. and Walnut St. Our building is a low red brick professional building with a green awning. 235 Walnut St. – Walnut Professional Building. As you face the front of the building our entrance is on the left side, down the stairs. From East – Take Route 9 West. Right after you pass Trader Joes and Staples stay to the right and take exit. Stay to the left at the exit and make a U-turn back onto Route 9 east. Make the next right at light onto Main Street (Panache Coffee is on the corner). Before the next left we are at the corner of Main St. and Walnut St. Our building is a low red brick professional building with a green awning. 235 Walnut St. – Walnut Professional Building. As you face the front of the building our entrance is on the left side, down the stairs. From Downtown Framingham – Take Union Ave out of downtown towards Rt. 9 and you make a right onto Walnut St. (Starsmile Dentist on corner). Follow to end. We are at the corner of Walnut and Main St.Our building is a low red brick professional building with a green awning. 235 Walnut St. – Walnut Professional Building. As you face the front of the building our entrance is on the left side, down the stairs. Dr. Howard Austrager has been a Certified Medical Examiner since 2013 and has been performing DOT physical examinations for commercial drivers since 2012. He has performed over 4000 DOT physicals. He is friendly, efficient and knows what it takes to keep you on the road with no waisted time at a competitive price.